I have mentioned this before, but I am the worst at large purchasing decisions. My husband is the same way, so for years, the joke with our extended family has been that he took less time in finding his wife than he did his first used car. He pondered that car decision for six months. With me, he knew he wanted to marry me and popped the question in three. I’ve spent a lot of time budgeting our home goals for the upcoming year. I’ll be sharing some of my research and decisions in a few days, but picking out quality furniture is a big deal because I want it to last. My desire is to mix and match my love of vintage and trash to treasure pieces with a few classics. My parents have had the same sofa for thirty years and it’s still a wonderful piece. By just swapping out upholstery to update its look throughout the years, I’ve seen first hand the benefits of a few solid pieces. Yet as I wander through my local Havertys and view all the inspiring choices, I love everything I see, so sometimes, it’s challenging for me to narrow down my choices. That’s why it’s important to think through a few key questions as you make decisions on your home decor. This past week, a fashion stylist asked me my style. Hmmm….eclectic? Casual, comfortable, classy? Are those styles? I feel the same way when I think about my home decor style because I love an eclectic blend of varying colors, styles and textures. One of the benefits of home decor choices these days is that there is no “all or nothing” rule when it comes to blending styles. You can blend contemporary with a bit of traditional, or add pops of vintage glam to something rustic, but it’s important to hone in on what your key pieces will be and decide on the feel you are trying to create. What inspires you? What makes you feel comfortable? How do you relax? What’s the Purpose of the Piece or the Room? After you determine the feel you are trying to create, you can determine the purpose of the piece or room in which you are decorating. If you are purchasing for a formal living room, then most likely the piece won’t be used as much and comfort won’t be your primary goal. If I’m picking out a sofa for a living room, I’m more concerned about the look I’m trying to create, rather than the fill used in the sofa. Personally, since I’m trying to finalize a sofa for our great room and it doubles as a guest bed, lounging area and all around rough and tumble piece, the fill will be very important. It needs to hold its shape, but also be comfortable. 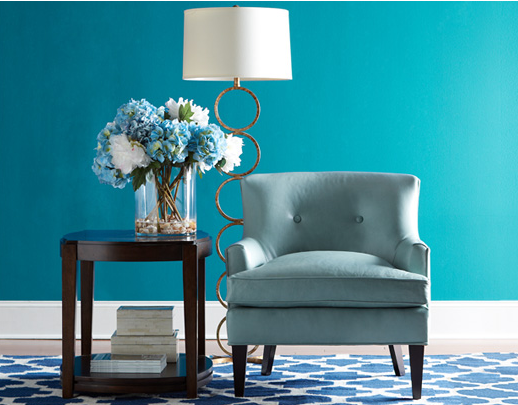 For years, I’ve created the look of my great room around the color of our walls. Yes, it’s a bit backwards, but I’ve had bold green walls for years and I’ve loved it, but now I am painting over them to something more neutral. I’m going to let the accessories do the creative talking. When it comes to choosing larger pieces like sofas, I am always going to lean towards choosing a sofa in a solid color. Solids and neutrals are the best long term investment. If you want a more relaxed tone, stick with warm grays, deep blues or tans. By choosing neutral or solids with furniture and upholstery, it helps anchor the room and sets the stage for not just fabulous accessories, but also some fun pattern play..
Havertys designers mention that dots, paisley and ikat play well together, just like floral, gingham and trellis make a stylish trio too. Many who are novice to picking patterns get a bit nervous when thinking of mixing and mingling patterns. Havertys recommends starting with these basic guidelines and you’ll be a pattern matchmaker in no time: 1) it’s okay to mix colors, but choosing patterns that feature repeat colors is the easiest way to avoid “pattern mixing gone wrong”. 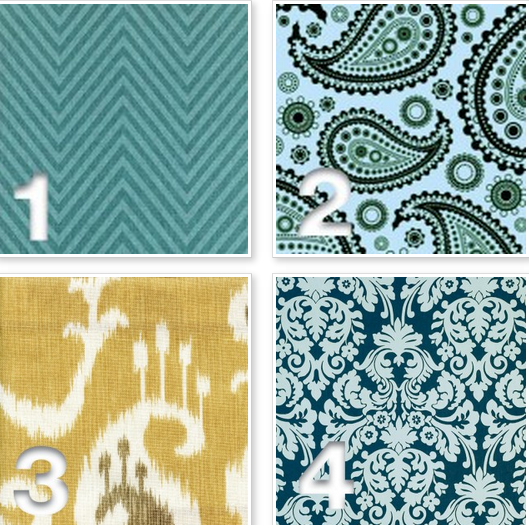 2) varying the scale of the patterns will give your space a refined look rather than an overwhelming one (ex. small flowers with bold stripes). You know that I have to bring it back to the budget. Quality pieces are an investment, so it’s really good to decide if you want to purchase something in a lower price range that might only last 3-5 years or wait a bit to make a long term investment. There is no right or wrong answer here. Some people like to switch out their furniture every five years. I’d rather invest in an incredibly comfortable piece that will take the wear and tear that our large family has to give. 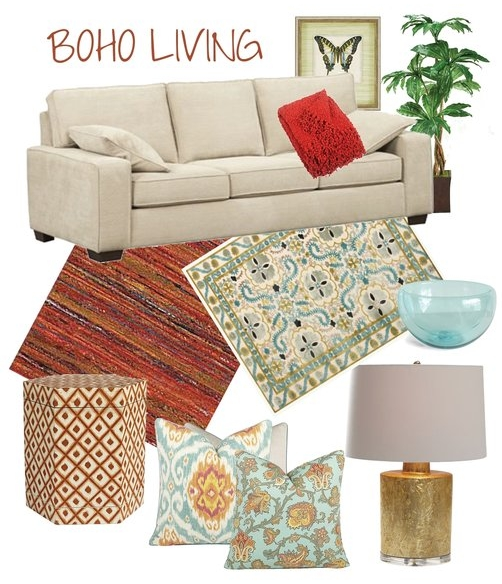 Once you’ve determined your major purchases, you can have fun expressing yourself with the pillows, carpets, lamps; all those unique accessories. For me, this is where my love of collecting from yard sale and thrift stores comes in handy. I repaint and personalize items to give the room my shabby chic feel. With a great neutral pallet to start with, you can add a fun accent rug or brightly colored pillows to instantly change the look for each season without breaking the bank. These are just a few of the questions I started asking myself when picking out a sofa and making some decor decisions for our great room.